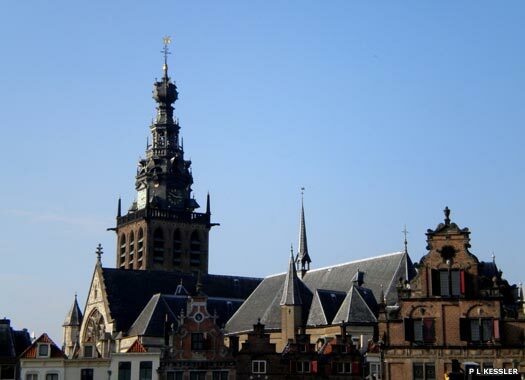 St Stephen's Church and Church Court (Sint Stevenskerk & Kerkhof in Dutch) lies in the heart of the oldest part of the city of Nijmegen, which is in the south-eastern Netherlands on the River Waal. 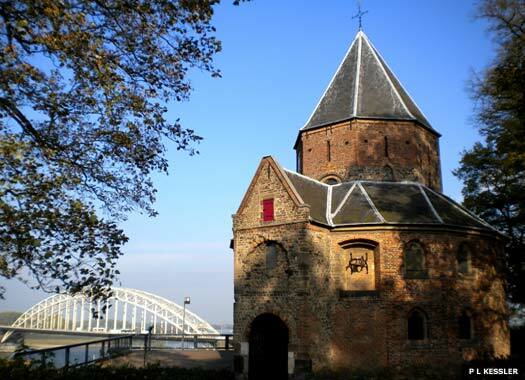 Nijmegen itself is probably the oldest city in the Netherlands. It was first recorded as a Roman settlement by the name of Ulpia Noviomagus Batavorum, and eventually became an important Frankish city, which is when the church was first built, in the seventh century. The city was later the capital of the duchy of Guelders, and has remained part of Gelderland ever since. 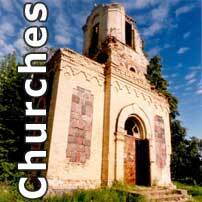 The present church was consecrated in 1273 by Albertus Magnus and for a long time it was the only parish church here. Construction and rebuilding work continued until the sixteenth century. In 1591 Nijmegen was conquered by troops of the Protestant republic of the Netherlands, taking it out of the hands of the Spanish Habsburgs, but it mostly remained a Catholic city. During the nineteenth and twentieth centuries, many new Catholic churches were built in the city. 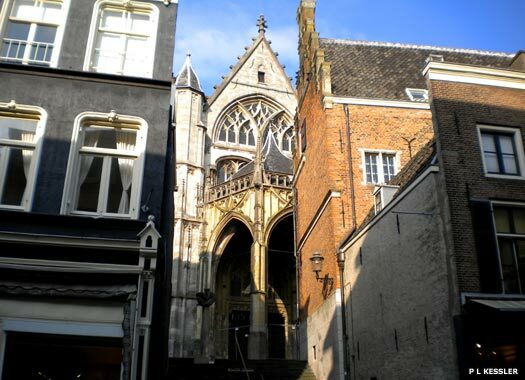 On 22 February 1944, Nijmegen was heavily damaged by Allied planes when they bombed the historic city centre, destroying several churches and severely damaging St Stephen's. Later that year Nijmegen was the scene of heavy fighting as the Allies secured the bridges across the Waal. St Stephen's was restored after the war, but with brick instead of stone. 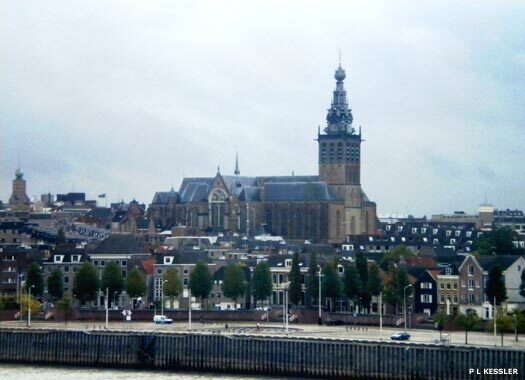 St Nicholas Chapel (Sint Nikolas Kapel) overlooks the main crossing over the Waal. The Frankish emperor, Charlemagne, made sure his empire extended far into what is now the Netherlands in the late eighth century, and he built a castle on the hill at the north-eastern corner of the city, but this was later destroyed by Vikings. Emperor Frederick Barbarossa built a new castle on the hill in 1155. In its construction, material was used from what remained of Charlemagne's castle. The sixteen-sided St Nikolas Kapel was originally a smaller copy of the chapel of Charlemagne's palace in Aachen, and its style has greatly influenced Dutch church-building. For a long time it was thought that it dated to the late eighth century, but it is now believed to have been built no earlier than the eleventh century, still making it one of the country's oldest buildings. The oldest section is at the front, while other sections carry changes made in Romanesque and Gothic styles. The Valkhof Castle Chapel was partially saved from demolition at the last moment, as a reminder, and is known as the Barbarossa ruin. 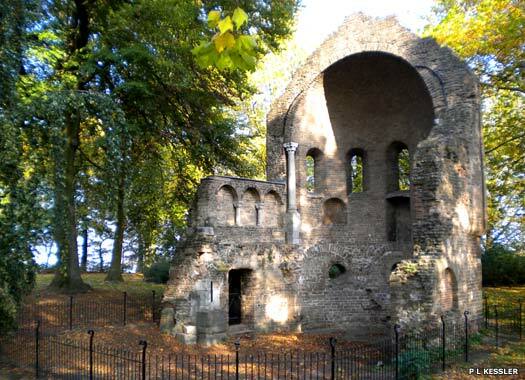 It consists of the remains of the Romanesque choir from the castle's twelfth century chapel. In 1796 the Valkhof castle ('Falcon's Court') was sold by the province's administration to be used as building materials, also raising vital funds for them, and was demolished by 1798. All that was saved were the two chapels. 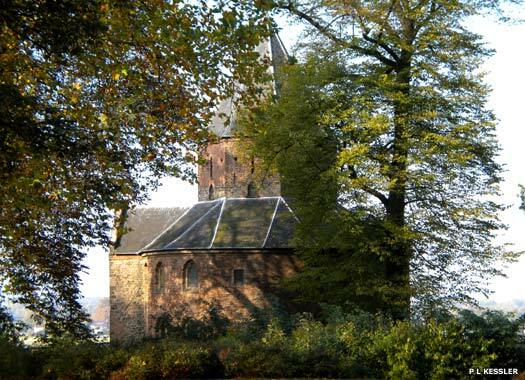 An index of churches old and new in the south-eastern corner of the Netherlands.